I’m glad that you enjoyed listening to this audio book, Vicki. It sounds like it would keep me guessing as well. Wonderful review! Thanks Susan! I would have never guessed who it really was. That does sound good. I will have to look for the book. Audio books are not good for me, I’ll fall asleep or my mind wanders. Books are my favorites. I love books too but I listen to audiobooks while driving, walking, or doing housework. Oh this sounds really good and I can sympathize with the situation Ella finds herself in. How many times do most of us second guess ourselves on getting involved when we don’t really have the evidence to say something is bad but just a gut feeling. I’ve only been in that situation once where I struggled with my decision for a few days. Then I realized it was best that I stayed out of it. I love books that keep me guessing! Me too, and I went through thinking it was one character after another, and was wrong each time. 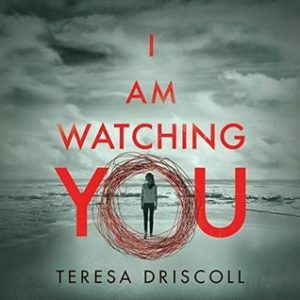 I love a good thriller/mystery and this one does sound like it would keep my attention. I’ll add it my listening queue. It was good. If you do listen to it I hope you like it as much as I did. I have this one on my wishlist. It looks really good. I liked it, I hope you do too!